Currently residing in San Diego, CA., Nathan Ledyard creates art depicting waves and ocean scenes using a unique combination of materials and techniques that push the boundaries of two-dimensional painting. 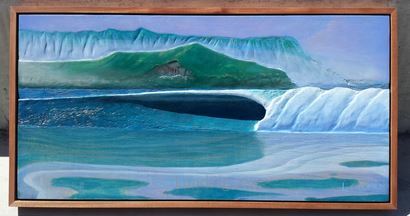 Often painting from a “surfers point of view,” Nathan’s work conveys the feeling of being in the water and a part of the sea. A self-taught artist, Nathan developed his unique style through problem solving and experimentation with different mediums and techniques- most notably carving and painting wood. Searching for a way to paint thin enough to incorporate the natural grain without sacrificing depth and texture, Nathan discovered that he was able to achieve both by first carving into the wood. Soon he began carving deeper and deeper, creating three dimensional scenes with natural shadows and highlights. 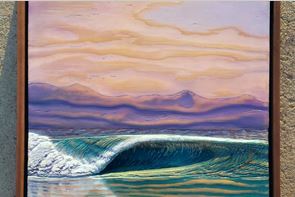 The resulting works of art are realistic yet surreal, and capture the beauty of the ocean in a new and exciting way.